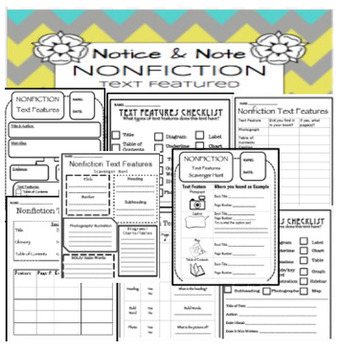 Enjoy this Bundle of 5 different nonfiction material packets. These are easy grab and go worksheets, packets, and posters. Includes all nonfiction signposts such as contrasts and contradictions, extreme or absolute language, numbers and stats, quoted words, and word gaps. 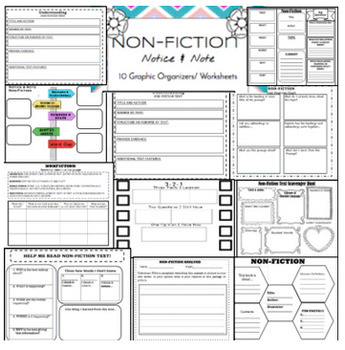 My top seller of graphic organizers that includes all nonfiction signposts such as contrasts and contradictions, extreme or absolute language, numbers and stats, quoted words, and word gaps. - Category, Cause or an effect, Comparison, Conclusion Continuation, Contrasts, Emphasis, Exception, Illustration or Example, Main Idea, The Author is Qualifying Is thinking, Restatement or definition. Sequence or Chronology, Spatial Proximity. - Posters to hang in the classroom for "signal words" that help students read a nonfiction text and help them be aware of words a that stand out to them or are transition words. 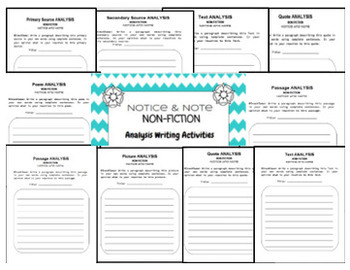 - 13 Nonfiction Analysis writing Activities: Reaction writing to different types of sources such as primary and secondary, photo, film, etc. This allows students to write a paragraph about how the source made them feel and how they would react to it. - The Really?? template or Big Question strategy that allows students to really dive into the overall topic and theme of a source. These templates allow students to take one sign post or all sign posts and analyze what surprised them in the text, what stood out to them, and why is it significant? -10 Text Features Worksheets: worksheets that allow students to analyze a source. It has scavenger hunts, worksheets, and organizers where students can examine through the text to understand main features of the text. - K.W.L 2.0 (10) The Nonfiction KWL chart is now updated and new and improved. This is a great strategy for a pre-examination for the content you will be teaching and a great closing activity to the unit or the lesson. - What do I want to know? - What answers did I learn? - What did I learn that was new? 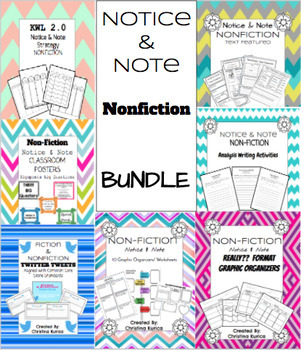 Twitter Nonfiction: This is a great way to get students interested into the lesson by bringing the material to what they are interested like twitter. This can be used a nonfiction and fiction. There are 8 different twitter templates.